The idea of radio clubs opening their doors to allow members to try things new is not a unique concept, and is not rocket science. In some cases though, the trick is to make sure that such an event is correctly packaged and made accessible to everyone. This page is intended to provide some background on the Skills Workshop concept, and some guidance for amateur radio clubs looking to find new ways of engaging with amateurs in the area – It’s working in Essex, so may work for your club. Fore more information on the Skills Night, and how you could roll out a similar event for your group, see our “Amateur Radio Skills Night Formula” – It’s also available as a PDF from our Amateur Radio Resources section. Let’s look at an example of how the concept can be rolled out.The idea of ‘Skills Workshop’ was pioneered in Essex in 2014, hosted by the Chelmsford Amateur Radio Society‘s training team. 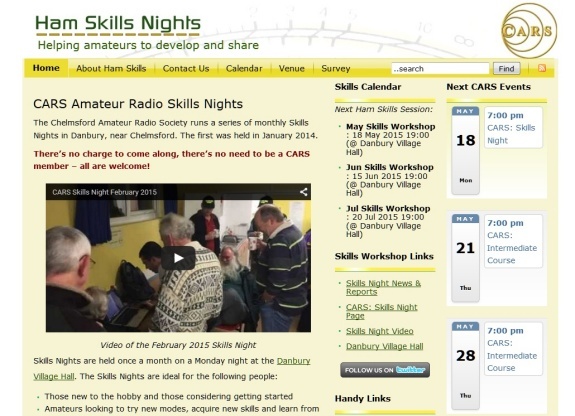 The Chelmsford ARS brands its variant of the workshop as the “Amateur Radio Skills Night“, and this is held monthly in Danbury, close to Chelmsford. Attendees are asked what they want from these evenings (via a questionnaire which is available to attendees on the night or via an online questionnaire). Skills Nights in Essex now regularly attracts an average of between 50 and 70 attendees from Essex, Kent, Suffolk and London. 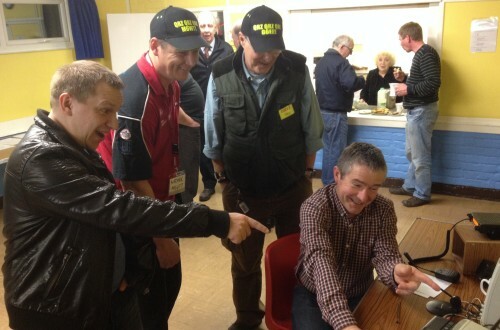 Topics are based on suggestions from attendees via online and paper feedback forms, and the nights are supported by the weekly Essex Ham Monday Night Net. One of the keys for the roll-out in Essex has to get the online presence correct, and Essex Ham hosted a dedicated microsite for the CARS Skills Night. This included videos, reviews of evenings, a mailing list for those interested in attending, an online feedback survey and event photos. The Skills Workshop concept was conceived by Essex Ham’s Pete M0PSX with input and support from Jim 2E0RMI and Sarah M6PSK. It launched in January 2014, hosted by the Chelmsford Amateur Radio Society’s training team. The Skills Workshop is a variant of Essex Ham’s Foundation+ concept, an idea to help encourage newly-licenced amateurs to gain confidence, progress, and stay in the hobby. It was originally proposed that Foundation+ would be rolled out in the South of Essex by the Thames Amateur Radio Group, but after their decision not to adopt the idea in 2013, a re-packaged “Skills Night“, was proposed to the Chelmsford Amateur Radio Society, who enthusiastically adopted the idea in early 2014. Hopefully, this page has provided information on how to get a Skills Workshop off the ground. If you’re associated with a club that’s keen to try something like this – please get in touch with us. We may be able to help, or pass on some of what’s been learned through the first rollout here in Essex.